AMD has announced the Radeon RX 480 at COMPUTEX 2016, TAIPEI, Taiwan. 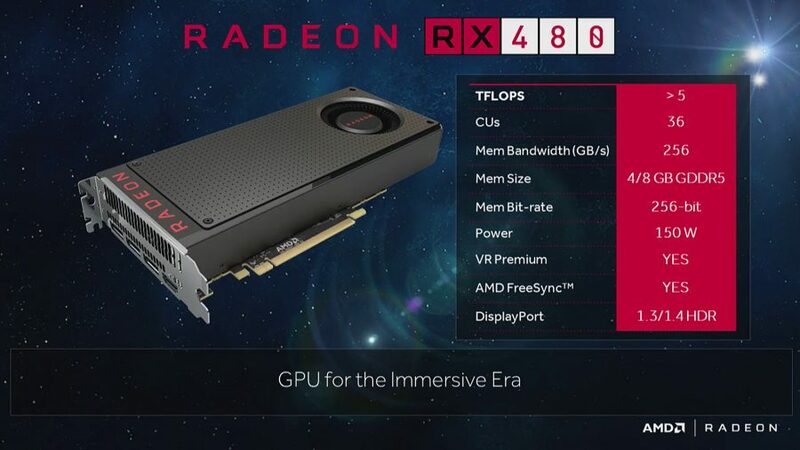 The RX 480 is a polaris based 14nm graphics chip which is capable of delivering VR processing power at both a low cost and low power consumption. AMD is targeting VR with the RX 480 and believes the affordable graphics card will help make VR more accessible to consumers, help developers reach a larger audience, and reduce the cost of entry into VR. The Radeon RX 480 with 4GB of VRAM will be launching in June 29 for $199.